Most holidays involve making large feasts for many people. Valentine's Day, on the other hand, revolves around a small meal for two people. This provides a wonderful opportunity to make things romantic and incredibly special. As such, we collected some of our favorite unforgettable dishes that just so happen to be grilled, for a little extra flavor. Don't worry, just because it's February doesn't mean the grill can't be involved. 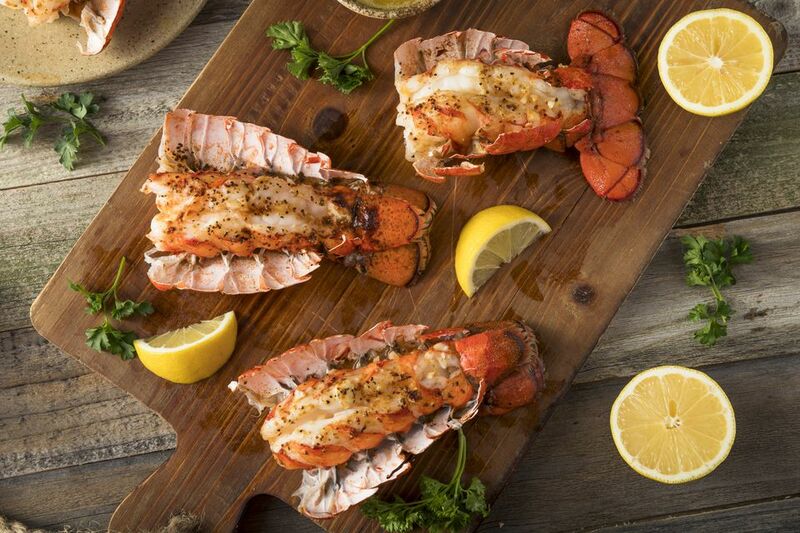 This grilled lobster is perfect for any occasion. If you don't have a lot of experience grilling shellfish, then this recipe is for you. This is a quick and easy way to take lobster tails and make them better than you thought possible. What could be better than fillet mignon? It's delicious and tender. This recipe calls for dried herbs, though you can substitute with fresh herbs instead. If you are going to do so, double the amount that the recipe requires. This lamb recipe has a Greek style to it. These chops are loaded with tenderness and flavor. Be sure to get the loin chops versus regular lamb chops. As if grilled Chilean sea bass wasn't good enough, this recipe calls for it to be drizzled with garlic butter and topped off with an oregano pesto. A truly delicious meal! 23 is Michael Jordan's famous Chicago restaurant and this is their recipe for the Delmonico Steak. 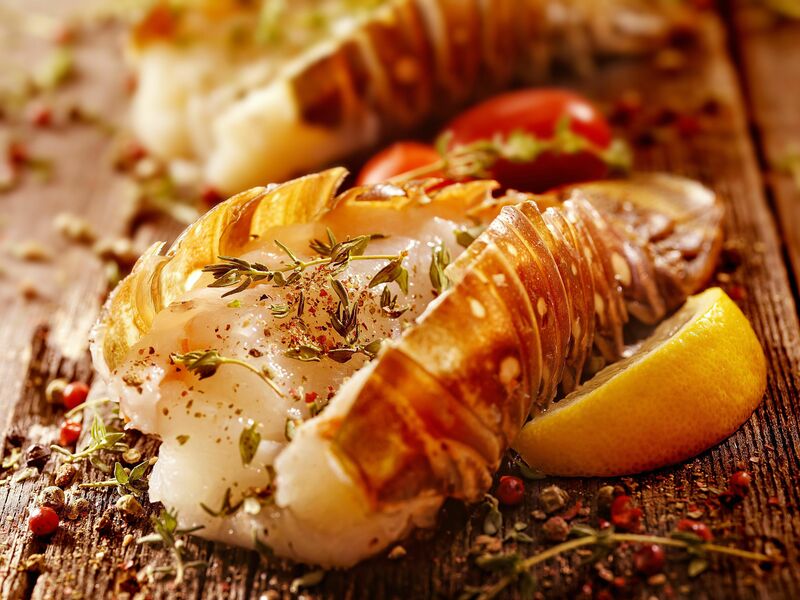 A light and flavorful grilled lobster tail recipe. The combination of ginger and red wine vinegar is truly magic. These lamb chops are tender, flavorful and perfect for special occasions. These delicious steaks require few ingredients. Just make sure to use freshly cracked pepper and the dish won't disappoint.